The closing date on your new home is set, but have you walked through the property one last time? If not, here are the do's and don’ts to follow. You’ve purchased your new home and the closing date is fast approaching. Amidst all the excitement, there’s one thing you don’t want to forget: doing one last walk-through. Because your last walk-through may reveal some unexpected surprises, you don’t want to conduct it on the morning of closing; alternatively, shoot for the evening before, so you can preempt any delays in closing time. Beyond the avoidance of any closing-day surprises, you’ll also be able to check that agreed-upon repairs between you and the seller were completed. I recommend having your inspection report and due diligence repair request addendum on hand as well. For those items that can’t necessarily be tested by you, make sure you’ve received a receipt for verification that the work has been done. It’s not uncommon for sellers to mistakenly leave belongings behind sometimes, so keep an eye out for this as you do your last sweep. Take a closer look in places you might not ordinarily think to—the cabinets, dishwasher, washing machine, and dryer should all be checked. After all, the state of the home on your last walk-through is how it will be when you move in. "The state of the home on your last walk-through is how it will be when you move in." Obviously, the best-case scenario is that no surprises crop up. Be that as it may, it’s important to brace yourself for and to expect surprises. Why do I say that? Let’s face it: This can be an emotional experience. We know that, when professionally staged, homes look strikingly prettier than when they’re totally vacant. You may be seeing it one last time before your move-in date and, suddenly, the home isn’t as you remember it. By expecting this ahead of time, you won’t be so stricken with emotion when that time comes. Another example we’ve seen before is discoloration to hardwood floors that wasn’t immediately visible at first. In these instances, a rug had covered a certain area of the floor for a while, and now the surrounding wood appears lighter in contrast. 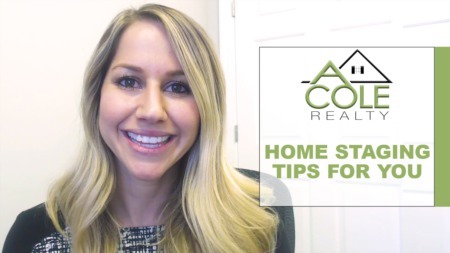 Hopefully, your own final walk-through goes smoothly and seamlessly and this was super helpful to you. 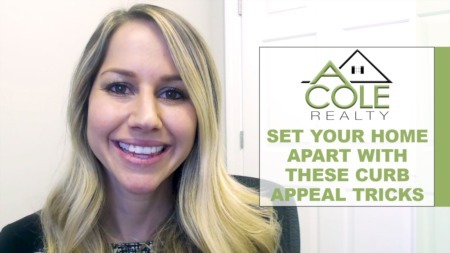 If you need help with your home search in the Triangle or the surrounding area, please give us a call at 919-538-6477 or visit us online at AColeRealty.com. We’d love to have a conversation with you!